Just to clear up any confusion, Iced Gems are the tiny biscuits with a sweet topping we used to enjoy as kids but this online slot is all about Icy Gems, presumably precious stones which have been left outside in the cold. It’s developed by Just For The Win and it comes with their clever Superspin feature. 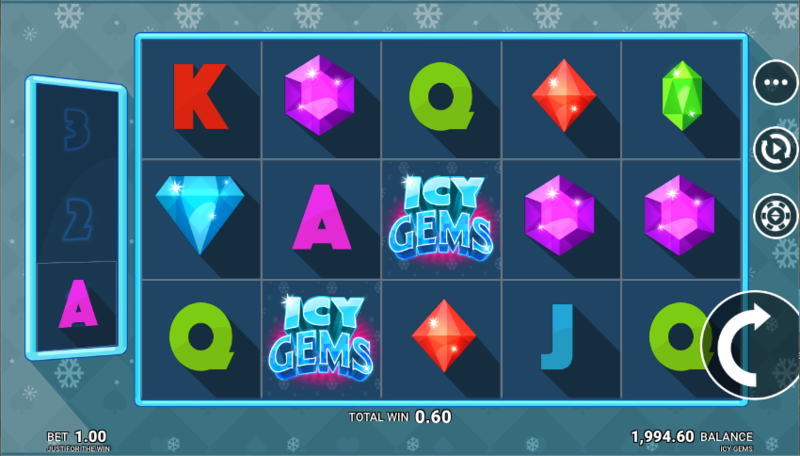 Icy Gems is a five reel slot with three rows and twenty fixed paylines; gentle, unobtrusive music accompanies your gameplay which takes place on a simple, blue reel against a backdrop of static snowflakes. We’ll explain the storage box on the left hand side shortly. The higher value symbols include the Icy Gems logo and gems in blue, purple, red and green; J, Q, K and A make up the lower values. 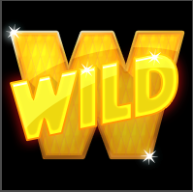 The wild is a big, golden ‘W’ which will substitute for all other symbols to help form winning combos. There is no bonus symbol in Icy Gems. You may already have noticed the storage box to the left of the reels and with each win a symbol from that combo (except wilds) will fill up one of the three spaces. The only way to fill the box is to land three consecutive wins or two or three wins from a single spin. The spin following a win is free. Stage One Silver – three different symbols. Stage Two Gold – two different symbols. Stage Three Win Big – one symbol. Wins should increase with each stage but the third stage is a guaranteed win anyway. The Superspin feature is an innovative bonus feature which certainly encourages longevity and tempts you to keep spinning; Icy Gems is an enjoyable slot which we recommend.